The Tiber river valley and its artistic treasures. You simply don’t want to miss visiting these two towns during your holiday in Italy. Orvieto is rich in history and culture, whilst Civita di Bagnoregio is a quaint hamlet atop a plateau overlooking the entire Tiber river valley. Meet our private driver in the morning and head to Orvieto. Tour the town with our guide and discover the hidden treasures of Orvieto. Lunch at a traditional restaurant in town. Meet our driver and reach Civita di Bagnoregio. Explore the hamlet on foot. Return to your accommodation in the afternoon with our driver. 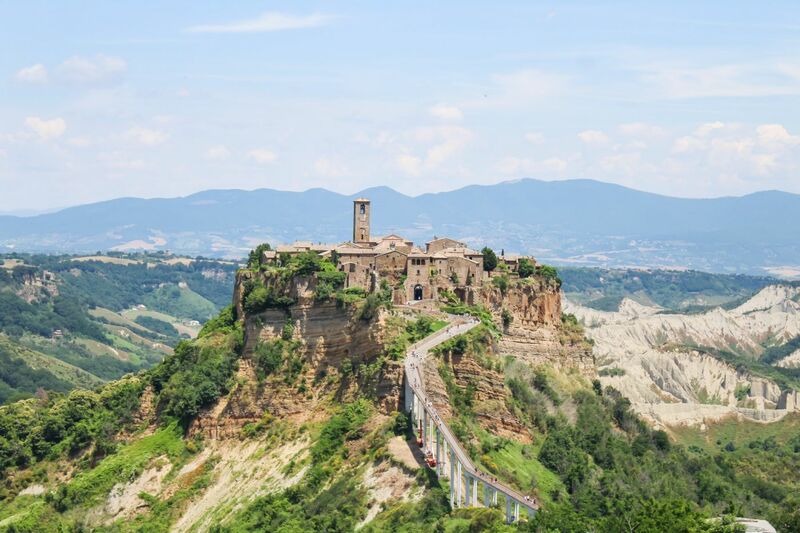 As an addition to this tour, you could also request a guided tour of Civita di Bagnoregio. A complete and private guided tour of Rome and Vatican City. A guided tour of the “Eternal City” and its historical riches.